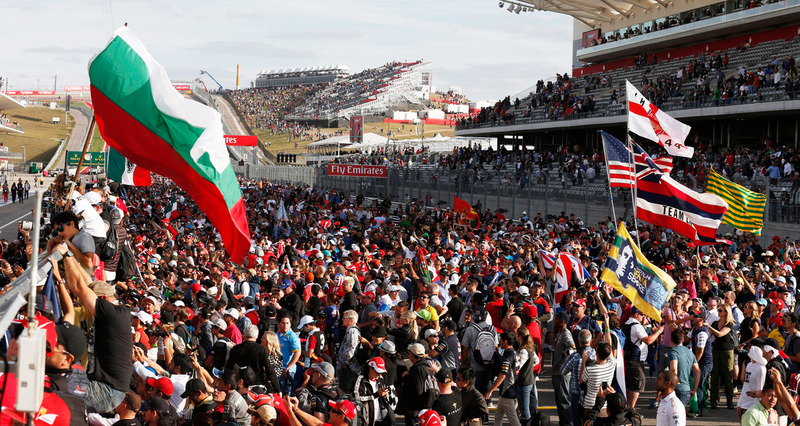 Circuit of The Americas follows the 2010 ADA guidelines regarding the sale of accessible seating. Patrons requiring special seating accommodations must request them at the time of purchase, whether the purchase is made over the phone (by calling Ticketmaster at 1-800-745-3000), at the box office, or online (at Ticketmaster's website). For online purchases the request can be made by clicking on the Request Accessible Tickets button, which is located in the top-right corner of the "Search for Tickets" box. All other races will have ADA seating in T15 and the Main Grandstand at various prices for guests who require mobility assistance. For special requests catered to your specific needs, please contact a COTA representative at 512-301-6600 ext. 0. Circuit of The Americas has ADA parking available for guests with disabilities who have a state-issued disabled license plate or placard. ADA parking must be requested at the time of purchase, whether the purchase is made over the phone (512-655-6300) or online (at Ticketmaster's website). A valid, appropriate disabled placard or license plate is required to park in a space identified as reserved for persons with disabilities. The person whose name is registered with the Accessible Parking hang-tag, or license, must be in the vehicle and identification is required. Guests should arrive as early as possible to ensure space availability. All parking is 'first come, first served'. Guests that require drop off and/or pick up may do so in the taxi drop off slip located on the opposite side of COTA Blvd across from Lot B. For accessibility questions or accommodations during race weekend, please contact a COTA representative at 512-301-6600 ext. 0. Circuit of The Americas provides transportation support to transport guests with disabilities who require mobility assistance from the various lots to the nearest event entrances or accessible shuttles. Shuttles begin 30 minutes prior to the gate open time and end one hour after the event concludes. Golf carts, recreational scooters and other unauthorized motor vehicles are strictly prohibited inside Circuit of The Americas gates. Mobility scooters are permitted on venue grounds; for information on possible charging stations or clarification of venue policy please call: 512.301.6600. Accessible restrooms are available throughout the facility. Permanent restroom facilities with accessible restrooms are located in the Grand Plaza, Main Grandstand and Turn 1. Accessible portable toilets are located throughout the facility as well. Service animals are permitted and admitted into Circuit of The Americas. Each service animal must remain with its owner and be restrained. If any service animals interfere with other guests, corrective action may include seating rearrangements or removal of the service animal from the facility. Parking is not allowed in any access aisles. Management reserves the right to take appropriate action regarding misrepresentation of parking privileges which may include ticketing and towing cars at owner's expense, reporting of misuse of handicapped plate/tag to Texas Motor Vehicle for possible revocation of parking privileges, and/or criminal charges. For ADA inquiries regarding concerts at Austin360 Amphitheater, please visit austin360amphitheater.com. For accessibility questions or accommodations, please contact a COTA representative at 512-301-6600 ext. 0. You can also send an email to ada@circuitoftheamericas.com. For assistance during events, please alert a nearby staff member or text a message to 69050, type “COTA” followed by the message.